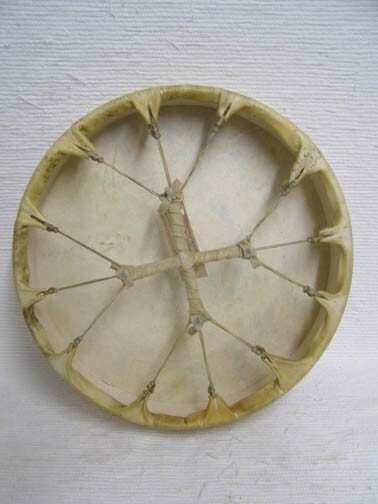 This wonderful drum was handcrafted by Cherokee Artist Wetfoot. 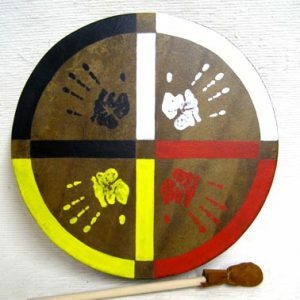 He uses a 3″ wide piece of wood turned into an 15″ round or hoop. 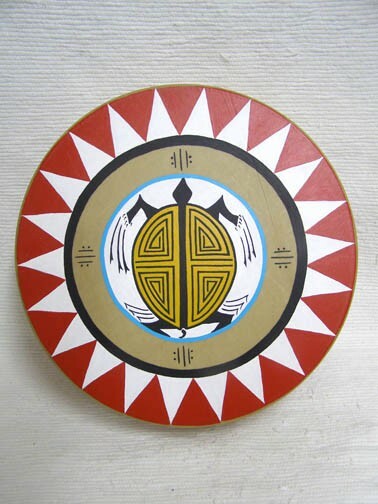 This spectacular drum is painted with a turtle by Cherokee artist Brenda Briery. 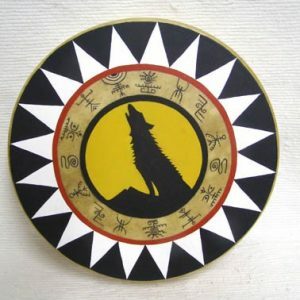 Many Native Americans call the earth Turtle Island; in this way the turtle represents the living spirit of Mother Earth. 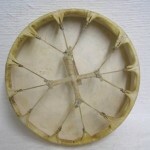 The Turtle navigates, both on land and in the water through its psychic connections with Mother Earth. Turtle is not only a symbol of longevity but is also an excellent messenger for carrying our prayers to the earth. 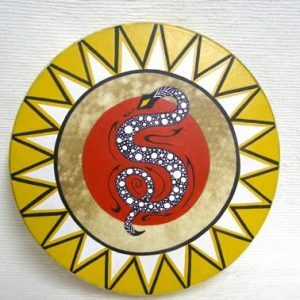 The turtle is the magical animal that never sickens and brings health and luck. 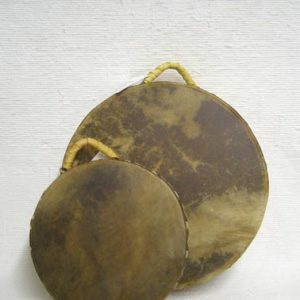 The back of the drum has a leather wrapped handle that makes using the drum very comfortable. Complete with beater & Drum Care instructions. A Certificate of Authenticity is also included with this item.